Christophe Cabarry began his career with Elf Atochem (now Arkema), as Supply Chain Manager in a new compounding plant in Eastern Germany. Then he was responsible for defining and implementing the commercial and industrial strategy of Elf Atochem Vinyl Division in Central and Eastern Europe. Two years before founding SpecialChem, Christophe was appointed to the department of strategic planning, where he was in charge of competitive watch and the evaluation of investment opportunities, as well as international M&A opportunities. 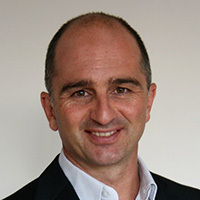 Christophe holds a Master’s Degree from the Ecole Centrale de Paris and an MBA from the ESC Toulouse Business School. Market interactions in the adhesives & sealants industry, at each level of the value chain, have become digital. All studies converge in showing that the initial contact with a customer, future or existing, is now initiated by the customer himself, when he or she needs it, and this contact is overwhelmingly digital (80%). This includes interactions via new digital channels that did not even exist ten years ago. How to adapt your organisational structure with the right roles and expertise to succeed.